Hiking without a heavy backpack and the crammed sleeping spaces of wilderness huts is now possible. 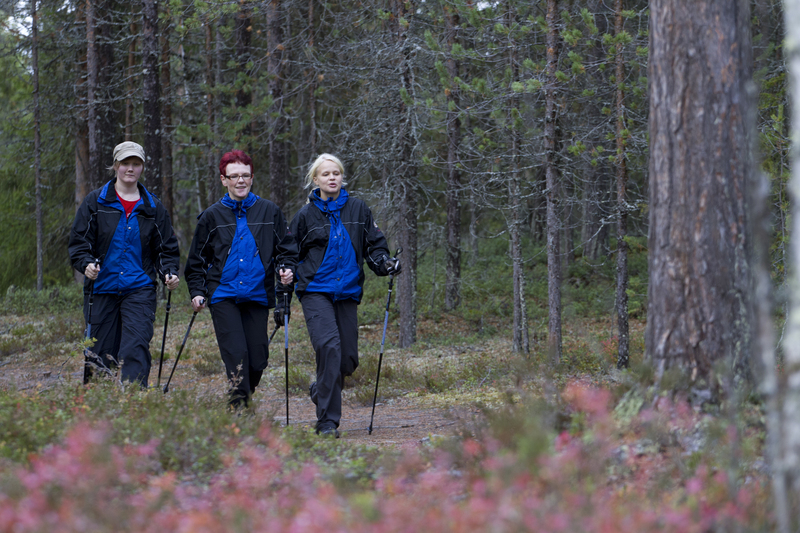 Basecamp Oulanka is now offering 3 hiking days, 2 paddling days and 6 overnight stays in the national park with full-board service. The only thing left for you to do is to enjoy the nature around you. You are on a holiday. We have made it as easy as possible for you to get the Karhunkierros diploma. It is enough that you come to us with your used sneakers and exercise clothes. From us you will get all the necessary gear to do the hike. 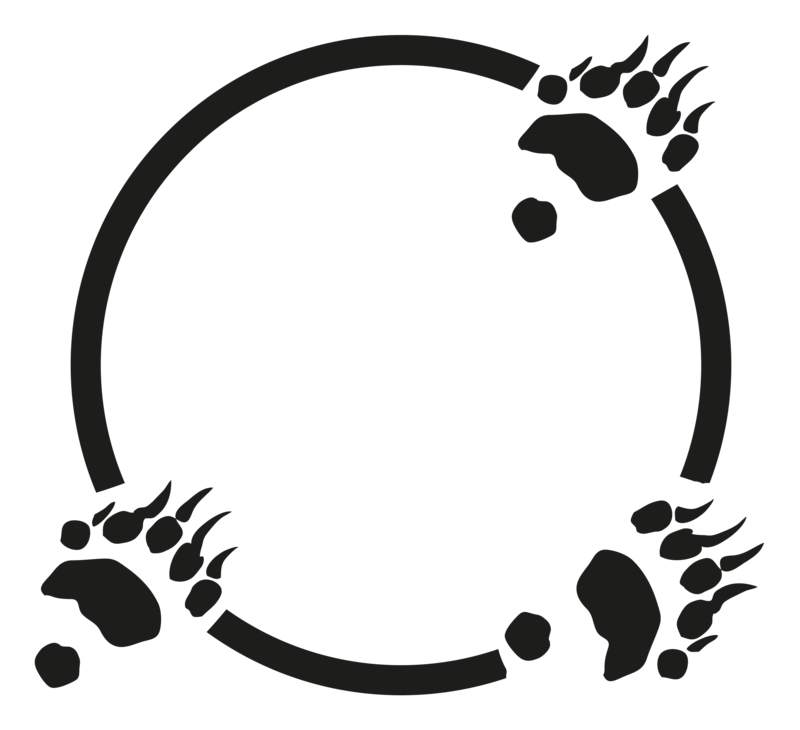 From the payment you will give minimum 20 euros to nature conservation through the Oulu University research center and Basecamp Oulanka. This money is used to help the national park and its surrounding areas to stay as they are for the future generations. 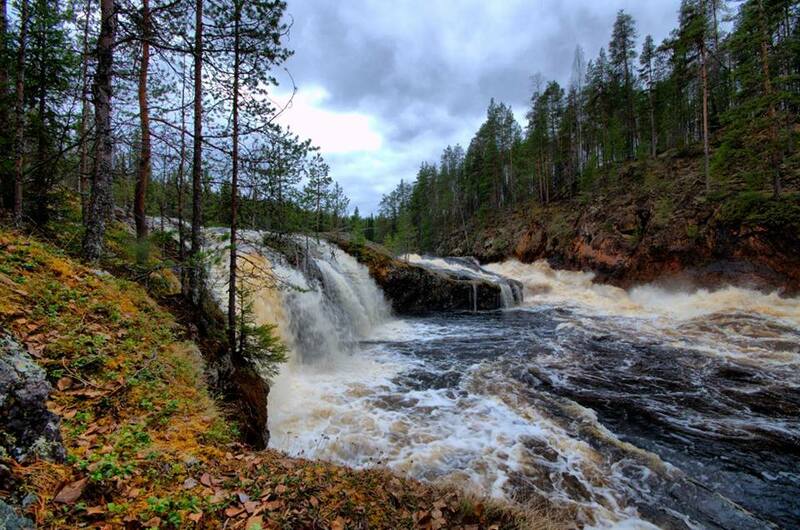 After gearing up at Basecamp Oulanka we start our day with a short hike to Jyrävä waterfall along the famous Little Bear Trail. In a calm waters we practice safety issues and our guide will explain us instructions needed for our tour. On this route we get to experience the tranquillity of northern nature, all the way down to the Russian border zone without motors! 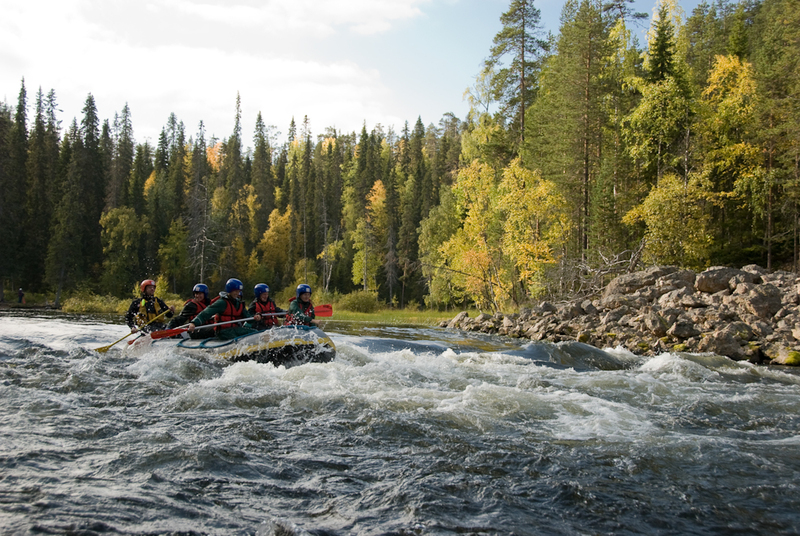 Along the scenery route we will have some gentler rapids from class I to class II and swiftly running waters to explore the beautiful landscape of Oulanka National Park. 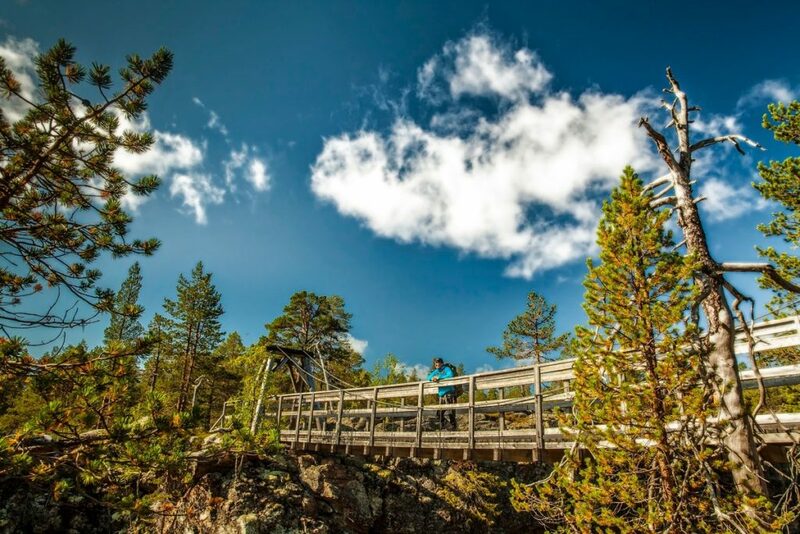 While you’re having a break on the raft enjoying some snacks, river will take us through the magical taiga forest and you get to enjoy the silence and beauty of river valley. Do take your camera with you that can be stored into a dry bag to keep it safe! Transfer back to Basecamp will take about 45 minutes. We start our trip from under Kiutaköngäs. Here our guide tells us the right technique to paddling and all the safety information we need. Now we are ready to start! 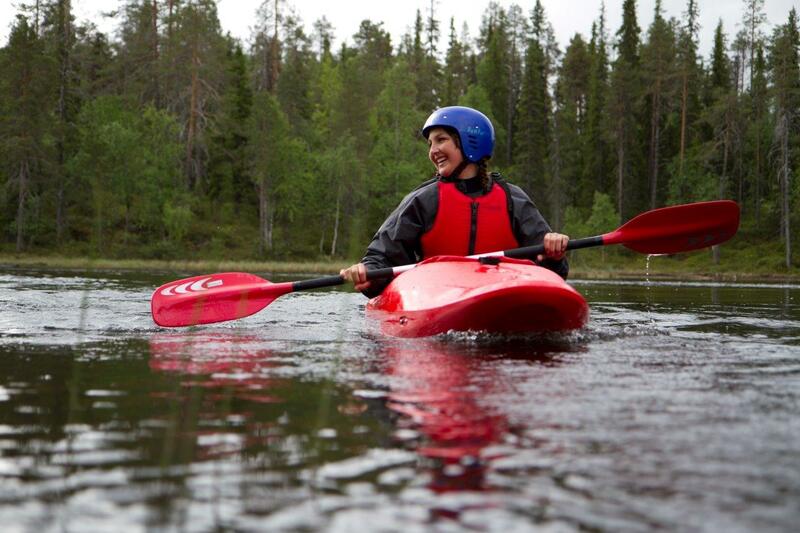 The Oulanka rivers calm flow and its ever changing profile make it the perfect paddling river. High and steep river bends rise above us as we travel on between the sandy beaches. Here we are separated from the rest of the world and can see animals enjoying the summer day. A reindeer laying on the sand and a golden eagle soaring above the river valley. 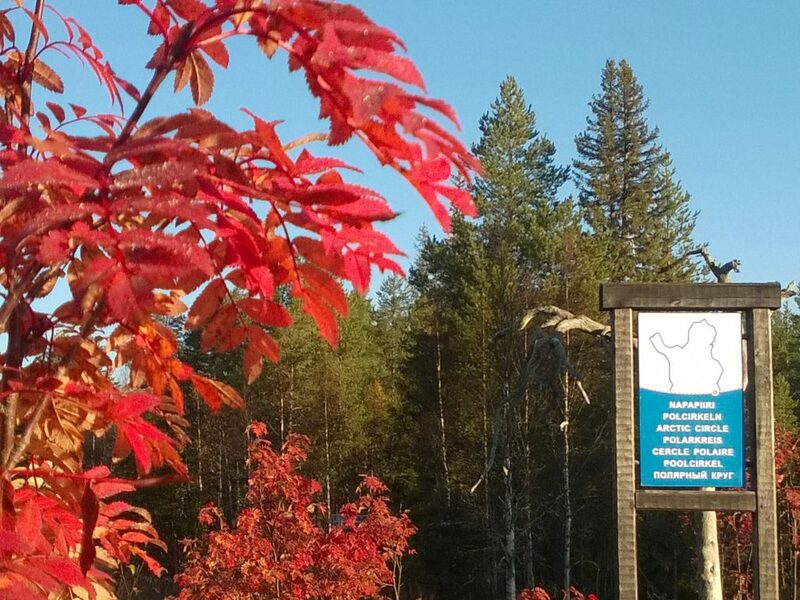 We end our trip at Nurminniemi where we have a transfer back to the visitor center. It is time to say goodbye to all the new friends we have made along the way and to the national park. On our way home we can recall the amazing sceneries of the national park and all the new experiences we had on the way.